The description is simple and to be honest it makes sense. All the flavours build on top of each other to make for a rather tasty and simple cake vape. Obviously this is going for a Pound Cake and it gets there with ease. This is another Salt Nic line that is rather flavourful for the segment. 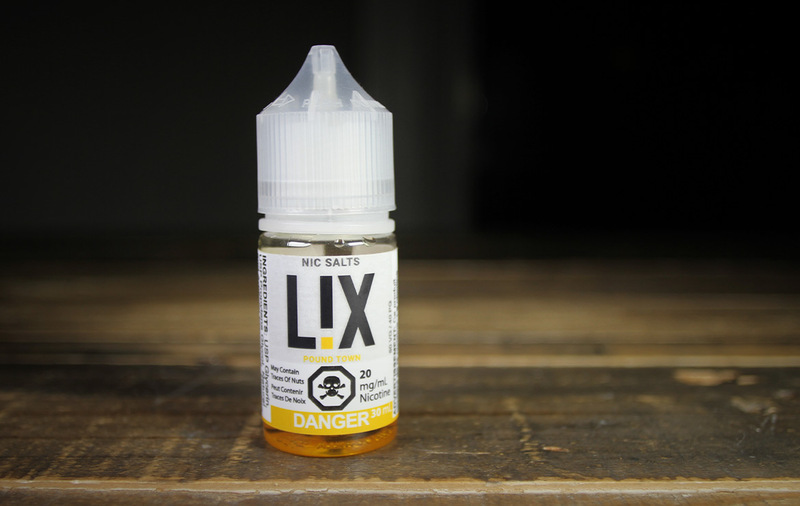 The Lix Mint is extremely popular but there are also 4 other flavour profiles in the line: Darts(Tobacco), Saltwork Orange(Blood Orange/Mango), Quad Berry(Black Currant, Blueberry, Blackberry, Raspberry On Ice) & Tropical Ice(Guava, Passionfruit, Mango, Crushed Ice) to check out too. We aren’t usually cake fans but the nice mix of sugar, vanilla, and pastry make for a very satisfying vape and a nice break from our usually more fruity profiles we prefer. The Juice Punk is a great Canadian juice company known for making great juice and their Lix line of Salt Nic is worth a look for sure!